عندما تزور كرادل ماونتاين, ستشعر أنك في بيتك في Cradle Mountain Highlanders الذي يقدم لك إقامة متميزة و خدمات عظيمة. يقع مركز المدينة المثير على بعد 75 km فقط. كما يمكن الوصول بسهولة إلى جبل ايميت, بحيرة دوف, منطقة محمية نهر دوف. إن الخدمات التي يقدمها Cradle Mountain Highlanders تضمن للنزلاء إقامة مريحة. يقدم الفندق واي فاي في المناطق العامة, صف السيارات, غرفة عائلية, مرافق للشواء, جولات لضمان الراحة القصوى لضيوفه. في Cradle Mountain Highlanders غرف نوم يزيد عددها عن 12 صممت بذوق وعناية لتوفر لك كل وسائل الراحة . بعضها يحتوي أضاً على تلفزيون بشاشة مسطحة, اتصال لاسلكي بالإنترنت, اتصال لاسلكي بشبكة الإنترنت (مجاني), حوض الاسترخاء, غرف لغير المدخنين. يقدم الفندق خدمات رائعة كمثل حوض استحمام ساخن, سبا, حديقة لمساعدتك على الاسترخاء بعد نهار طويل من النشاط والتجوال في المدينة. مهما كانت أسبابك لزيارة كرادل ماونتاين، فإن Cradle Mountain Highlanders هو الخيار الأفضل لإقامة مثيرة وممتعة. Really cozy cabin with kitchen and fireplace would defiantly stay again! We arrived at the resort passed 5pm and it was already dark and cold. However, the reception guy was really helpful and direct us to our cottages (there's no lightings outside), gave us a quick guide on how to operate the fire place and stove so that we could settle down and cook our own dinner. We got a surprised visit by wallabies in the morning, a mother and its baby, standing just outside our cottage. Their not camera shy at all.. =) and so we feed them some bread before checking out and continue with our journey. 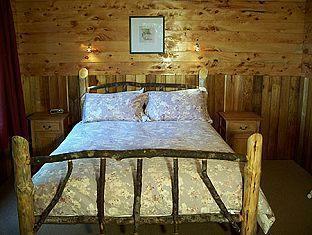 Really lovely cabins, warm log fire and a very comfortable bed. 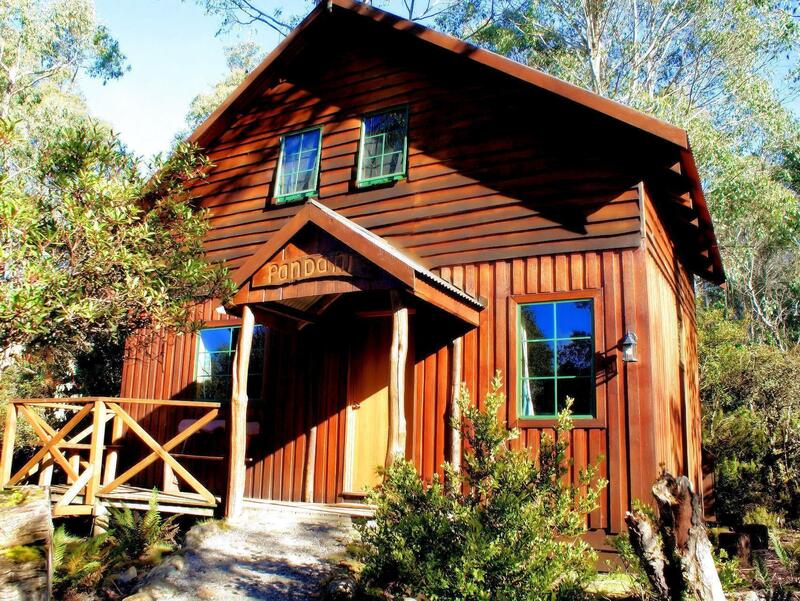 Set in beautiful bushland and an easy walking distance to the national park visitor centre! Thoroughly enjoyed my stay, highly recommend Cradle Mountain Highlanders to anyone looking for a cosy haven to base from for exploring the area. We regretted that we just booked one night here. The pension was big and well equipped with cooking utensils. It was warm and we could see wildlife outside of our pension. We cooked and had a nice dinner here and had a good rest. 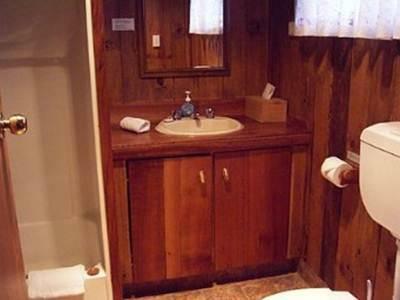 Fantastic cottage with a real bush cabin feel, so close to cradle mountain visitor center. Wildliffe came up to our door, great heating, very private. Unfortunately the wifi and tv reception did not happen due to remoteness and unless you have Telstra no mobile reception either. Great for a couple of days stay. Sraff allowed me to use their phone to call home . Cottage is good and all facilities are in good working condition except for WiFi and TY connectivity which is not so good. Near to Visitor Center. Good experience to live in the cottage for me. Overall above satisfactory level. We were greeted by dusting of snow and by padmelons who visited our property Buttongrass. Right from the start, the staff were so helpful and guided us properly. The wood fire was already burning. Brad accomodated my check in request and guided me what to bring in advance. The location is perfect storybook type. 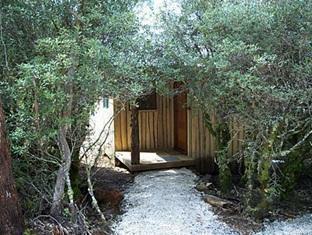 Each cottage is secluded giving privacy. Our cottage was super clean, bed was amazing and bathroom was big as well. But above all we got a chance to enjoy nature, spend quality time away from internet and normal world. A chance to cook, watch dvd's- yes!. It gave us actual break from our normal routine. The walking track from highlanders to visitor centre is awesome. National park is just 2 minutes drive from highlanders. Lot of great walks there too. We were glad to choose highlanders for our stay. Keep up the great work guys. Will see you next time. great place to stay. good condition of the kitchen in the cabin. Fully equip kitchen, also provided cling wrap and aluminium foil! Reception close at 6pm and we overlooked and reached a little later. Our keys were kept in a envelope outside the reception door. Note: quoll cottage will need a min of walking from where u can park. Two nights in bushtail. Timber cabin with gas operated fireplace in the woods, really enjoyed the experience of living in the nature. of course the sacrifice was the walk from the car with the luggage through the "wood". Actually just a short walk. We checked in late and the staff prepare touch light for us hang on the reception entrance. 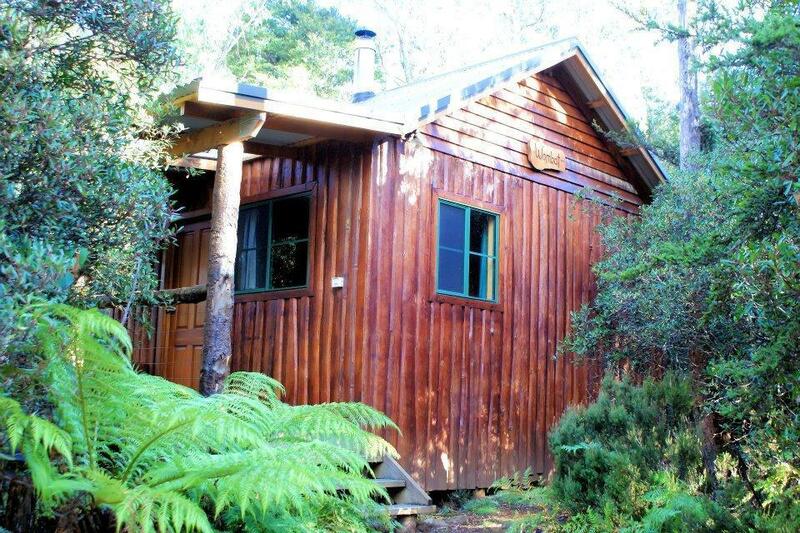 Quoll was a cosy cabin where you can get away from all the other visitors at Mount Cradle. The cabin is will stocked with gas oven and stove, cutlery and fridge. Although I did not see any wildlife during my 3 day stay at the cabin. I found the peace and quiet very enjoyable. 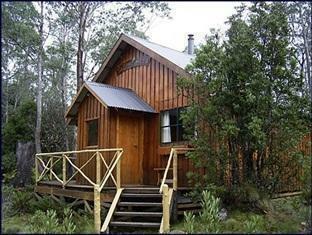 Cradle mountain is an amazing location and this cabin in the wood was the perfect match for the location. Easy to find, clean and really close to park entrance. You could easily cook, not only breakfast. Even a fireplace in the cabin to warm the place and set the mood. The lodge is not huge, given we were family of 4+infant. However, the layout and space utilization is just great! Right across the visitor centre, location is good. 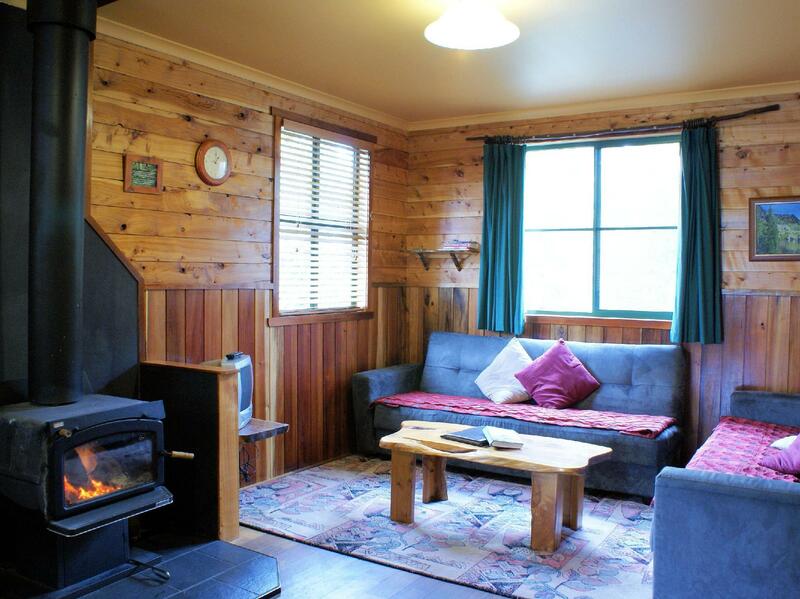 Heater and fireplace provided which is so important in the cold cold Cradle Mountain. Very much enjoyed it. Hotel is just a few minutes walking distance to the visitor info centre and cafe. We took several walks around there and drove to Dove Lake after 1800 when most of the visitors have left. We took some very beautiful pictures and the weather in early October is cool with a lot of sunshine. We bought a canned soup and some lamb chops at Launceston and we cooked ourself a perfect dinner with the fire next to us. A new experience for my husband and I. Stayed at Pandani cottage for 2 nights. The cottage was cozy, relatively comfortable and the gas heater worked well to keep us warm. We can actually see wildlife right outside our doorstep. Pandani is a 2 storey cottage so the only downside is the wooden floorboards creaks rather loudly whenever someone walks, affecting the sleep of my son, who is a light sleeper. very nice house, its clean and quite. there are so many animals walking around after midnight, if you just put an apple on the floor, possum will come out. I love wombat, there are so many wombat after sunset on the road.